All amphibians need to keep moist. The waxy monkey frog has a peculiar way of doing this. The waxy monkey frog is a master at keeping moist. In its natural habitat - high in the rainforest canopy - the waxy monkey frog is exposed to intense sunlight. A gland on the waxy monkey frog's neck produces a thick, waxy liquid that is spread over every inch of its body. The waxy substance seals in moisture and acts like a natural sunscreen lotion. Losing moisture through the sun’s heat is a big problem for frogs, and species develop a variety of ways to deal with it. 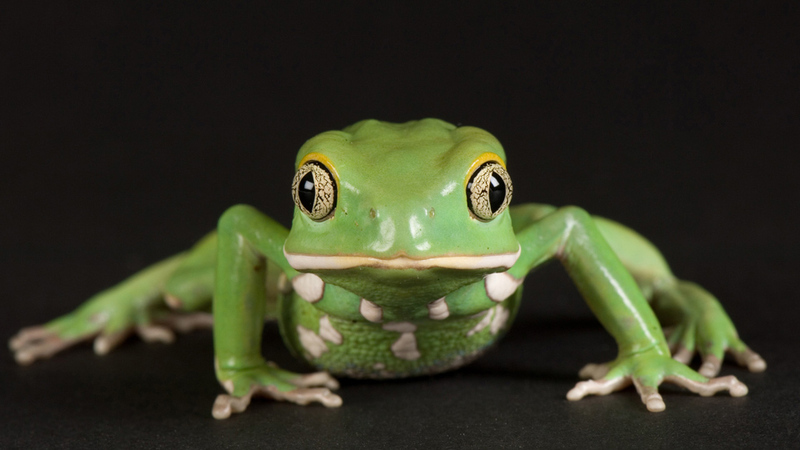 This is the waxy monkey frog – a master at keeping moist. Waxy monkey frogs live high in the rainforests of Central and South America.